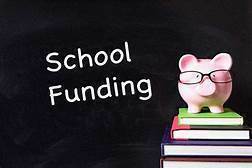 Last August, Springfield passed a new, evidence-based school funding formula. Most recently during this past month, the state finally released the additional FY18 dollars known as tier funding allocated under the formula, with funding going first to under-resourced districts like Staunton CUSD #6. Staunton Schools received $343.52 more per student or a total of $418,070.16 in additional funds. Many of our staff, families and community members reached out to our lawmakers in Springfield to urge them to level the playing field by passing a more equitable funding formula. Much thanks and appreciation goes out to those who got involved and stood up for our students and teachers. By doing so, you embodied our District’s vision to Lead! Challenge! Achieve! Staunton Schools are now directing these new dollars to improve student learning outcomes. It is exciting to see how our students will be benefiting. For example, a portion of these new dollars will be directed to restoring an elementary teaching position and adding two core intervention teachers to work with our most disadvantaged students. This is good news, but we still have a long way to go. Our lawmakers in Springfield must keep the momentum going – our students are depending on them. This is why Staunton Schools is part of a fair funding lawsuit with 20 other downstate school districts. We also hope parents and community members continue to raise their voices to Springfield. We are thankful to both of our local legislators, Senator Andy Manar and Representative Avery Bourne who are both champions for education and were instrumental in passing the formula. Be sure to contact them and thank them for their good work in passing the formula and also at the same time urge them to keep pressing forward to fully fund the formula in this year’s state budget. If you need help on how to contact your legislators visit http://www.elections.il.gov/DistrictLocator/DistrictOfficialSearchByAddress.aspx.